How Best to Track Assessment? When has a concept been ‘mastered’? 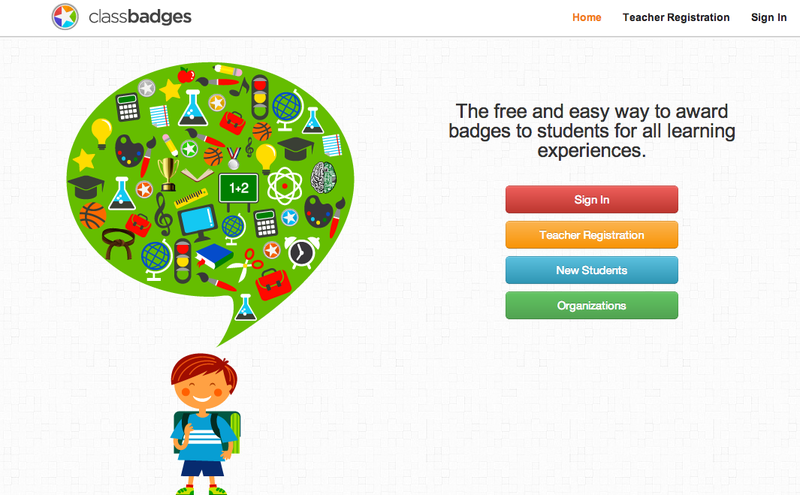 What is the best way to represent progress so far, to pupils, teachers and parents? What does mastery look like? I’m comfortable assessing how well a pupil understands something at a point in time, and can gain a fairly accurate snapshot of their understanding. The problem is that I’m not content with recognising mastery when a concept is completely fresh in a pupil’s head, and that’s all they’ve been working on for the last week. Of course they’ll do well in that assessment. There has to be an element of retention and remembering. Does that mean pupils should be tested a few weeks after they’ve studied a concept? Or maybe we should assess after completion and a few weeks later. The relationship between remembering and understand, as Kris Boulton pointed out, is one that needs a lot of thought. A proper assessment system needs to consider both – masters don’t forget their craft. What is the best way to represent progress? 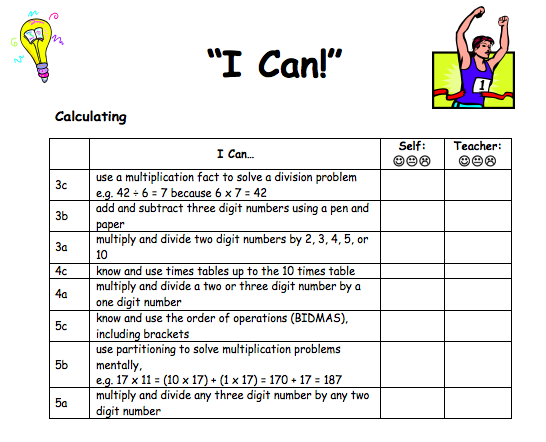 This year my primary tool has been the “I Can” sheet. 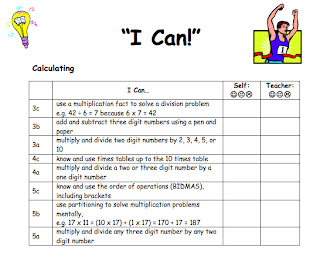 Each term pupils get their new “I Can” sheet on coloured card, put it in their folder, and read through what they’re learning for the next couple of months. As the term progresses they rank their understanding and watch the sheet fill up. “I Can!”: Pupils and teachers rate understanding of different key outcomes. It’s definitely proved effective as pupils use the sheet as their guide through Maths, and stop to reflect on how they’re doing. They know what they have to learn to improve, and how their progress relates to what they could potentially have learned. The problem is that there are too many outcomes, and it’s not set up for a mastery approach. There are so many outcomes after an entire year that it’s hard to see where a pupil’s strengths and weaknesses lie, meaning it ceases to be the useful guide I’d planed. So what could the alternative be? 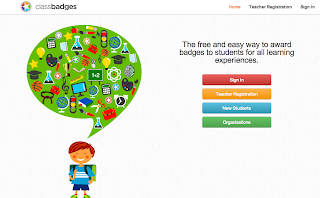 I’m intrigued by (and experimenting with) the way Bruno Reddy rewards mastery using badges. The binary awarded/not-awarded status fits well with a focus on mastery, and the checklist provides pupils with a very clear guide of what they need to do to demonstrate their understanding. But this version of mastery doesn’t appear to assess whether pupils remember a concept a few weeks down the line, and, like my I Can sheets, there’s too much information to be easily digested. Dan Meyer’s (redesigned) concept checklist takes the visual representation challenge head on. It is clear where pupils have done well and where they need to improve, which makes it much more useful for pupils, parents and teachers. It also does well to require pupils to score highly twice, so prioritising the need to remember. However it is entirely test-based, and doesn’t seem easily adapted for a wider breadth of assessment methods. I can see this working well with exam classes higher up the school, but it seems a bit dry for younger pupils. 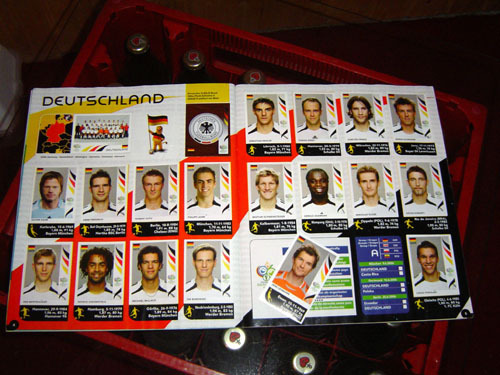 There’s a reason kids everywhere love sticker albums. They’re incredibly straightforward, visually appealing, and it’s easy to see where there’s a gap. The sense of satisfaction from filling up a page is immense, and there’s just a joy in lining that sticker up and letting the glue do its work. Could we do the same thing for Maths? I’m imagining giving every pupil a sticker album on their first day, that they’ll fill up over the year. In each blank space could be the checklist of what needs to be done to earn that sticker, and, once completed, the pupil can cover it up with a sticker to mark their achievement. That checklist could include a criterion for remembering, as well as whatever range of other assessment was best for each concept. Please share any thoughts you have – I might get designing this summer! This entry was posted in Uncategorized on May 11, 2013 by dmthomas90. This is an interesting issue. A key issue at the moment, in fact, because everyone is being judged on ‘progress’ (which is hard to define if there is no clear way to measure progress). Embedding knowledge is an easy concept, but becomes fairly ephemeral once you begin to think about it in any detail. I sat a lot of exams during my education, and would revise hard prior to them (usually for 8 weeks; attempts to revise for longer were counterproductive). Without such extensive revision I would have performed very poorly. Does this mean that my learning hadn’t been embedded properly? Now, in the workplace, tasks undertaken infrequently are difficult…some sort of revision (looking up notes) being required. Where, then, is embedded knowledge? I can do stuff once I’ve got my head around them again. Or if new, once I get my head around them. How does this relate to ’embedded knowledge’? I’ll write up my solution to this problem, which I designed three years ago (before I started) including why I stopped using it. Perhaps it’s time to revive it. A summer team-project maybe? Happy to have a go at a project, not firmed up my summer plans yet. Any clues as to what your plan was?